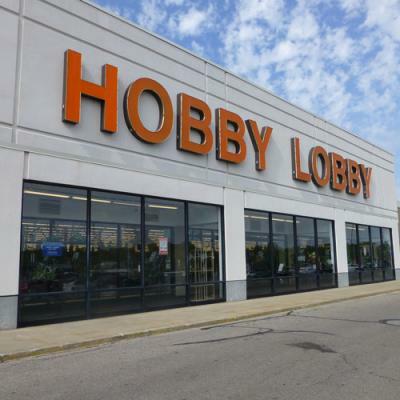 On Monday, June 30, when the U.S. Supreme Court decided to rule in favor of Hobby Lobby – an Oklahoma-based arts-and-crafts chain of about 600 stores founded by David and Barbara Green – they stated that closely-held corporations can exercise religious objections that allow them to opt out of the new health law requirement that they cover contraceptives for women. This became the first time the court ruled that profit-seeking businesses can express and hold religious views under federal law. It was back in 2010 that President Barack Obama signed into health care law that contraception was one of the preventive services that must be provided at no extra charge. And it's been upheld ever since. Until that day. Almost immediately after the ruling hit the news, Facebook, Twitter, and the Internet at-large went ablaze with posts and comments from both sides of the fence. The ruling is a win for Christian conservatives and a loss for reproductive-rights activists. For the most part, my newsfeed seemed to be filled with the latter group – comprised of both men and women. Which in turn prompted me to look into why this ruling isn't as detrimental as many believe it is. First and foremost, though, allow me to state that I would never personally be in support of Hobby Lobby's choices regarding this issue. If I were an employer, I would not eliminate the coverage of contraception in the health insurance I would offer to my employees. However, on the broader scope, if we allowed the federal government to continue to make sweeping decisions, such as this, that cover the entire nation – from manufacturing to healthcare and everything in between – then we as a society aren't doing ourselves justice in affording ourselves the opportunity to have the best decisions made tailored to our varying needs. We all know private enterprises vs. publicly-run entities all have different needs – and moreover, different ideologies – and all follow different standards. And in this particular role as a citizen of a free country and an owner of a private business, that individual should be allowed to make such choices – even if the majority doesn't agree. Hobby Lobby was founded by a religiously-driven entrepreneur, one who wanted to take his personal beliefs and apply them to his business practices – so much so that he even chose to take one of the biggest shopping days of the week – Sunday – and close its doors out of respect for his beliefs. His decisions aren't right or wrong; they are simply his choice. Now, some of you are questioning if we do this, what will stop a Jehovah's Witness from invoking his religious rights and say he won't cover blood transfusions in his company's health plan? Or what if an employer says vaccinations conflict with his beliefs? The court made clear in this ruling that religion should and would not always trump the law, and said its decision applies only to the contraception mandate, not other insurance mandates. The court also specified that an employer could not use religion to get an exemption from laws that prohibit discrimination. And while this particular case affects those nearly 600 Hobby Lobby stores, it has little bearing on the broader fate of the healthcare law and does not affect the vast majority of what the government estimates to be 29.7 million women who currently receive birth control coverage as a result of the law. As for how it will affect other similar cases? According to the Becket Fund, there are currently 49 cases in the courts brought by employers about this particular issue. Combined, there are fewer than 20,000 employees in total – men and women – who work for these groups and object to this mandate. Of these 20,000, the group concluded that 5,600 of these individuals are likely to be women of child-bearing age – lowering the total number of individuals directly impacted. This is where it gets interesting. Although this ruling allows a religious exemption, in this particular instance, the Affordable Care Act can now step in and pay for this type of coverage. So, the net effect is that these exempt institutions get to say that they are against contraception and deny the individual, but the employees can still get the same level of access from the ACA. This results in virtually no change in the coverage. In essence, decisions such as this one create the opportunity to continue to move away from employer-based coverage and to create a full government-run health care system. Make of it what you will – as we all will have differing viewpoints about the conclusion of this case. But if you get to the very core reason beyond all the layers, our country was founded upon freedom. The freedom of speech, the freedom to choose, and the freedom of religion. This ruling allowed the courts to protect this freedom, a right provided to each citizen, and now corporation, through the first amendment of our constitution.